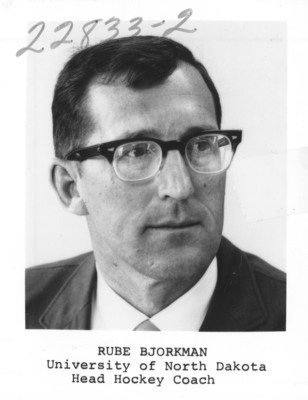 Photograph of Rube Bjorkman, the University of North Dakota's Head Hockey Coach. Bjorkman coached UND from the 1968-69 season until the 1977-78 season. His teams won 45% of games during that time.